Urban German Grill Starts at Lloyd Today! 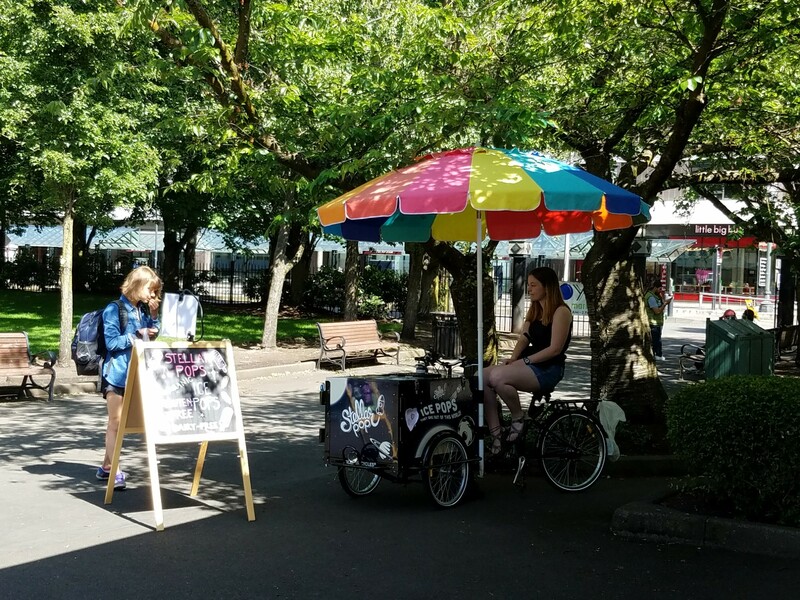 And Stellar Ice Pops are back! 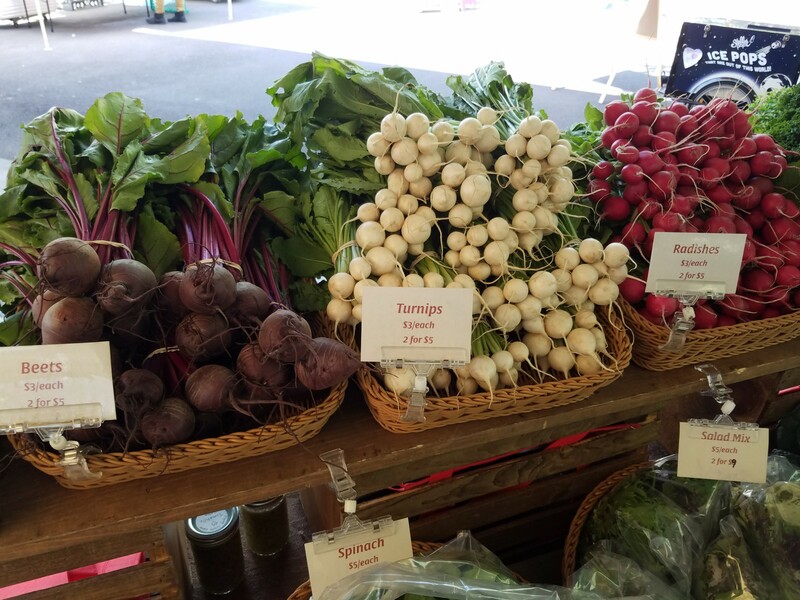 Smell the Sweet Sunrise strawberries from Valley Berry Farm wafting through the gazebo, and get some late season rhubarb from Greenville Farms to join them. We’ve got our newest hot food vendor Urban German Grill starting this week. 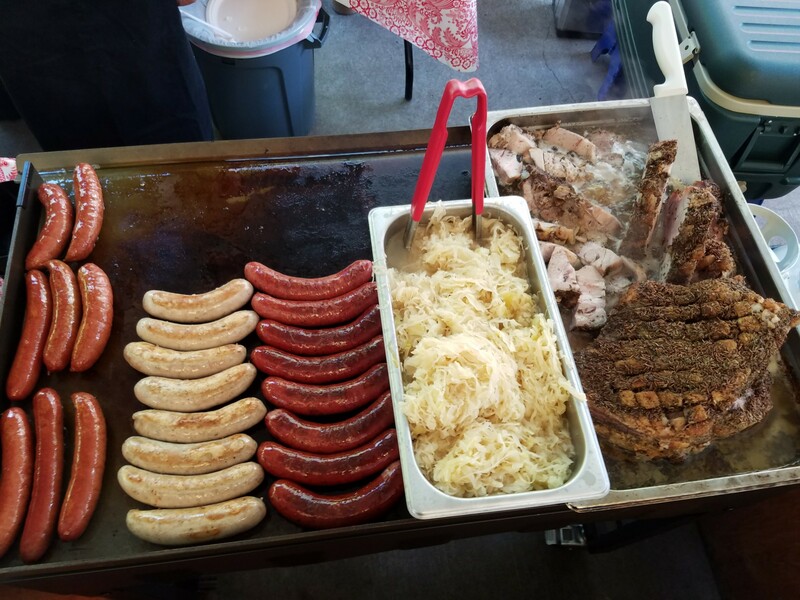 They are grilling up home made sausages made with Carlton Farms meats, as well as offering Schweinbraten (pork roast), kraut, German potato salad and Bavarian pretzels. 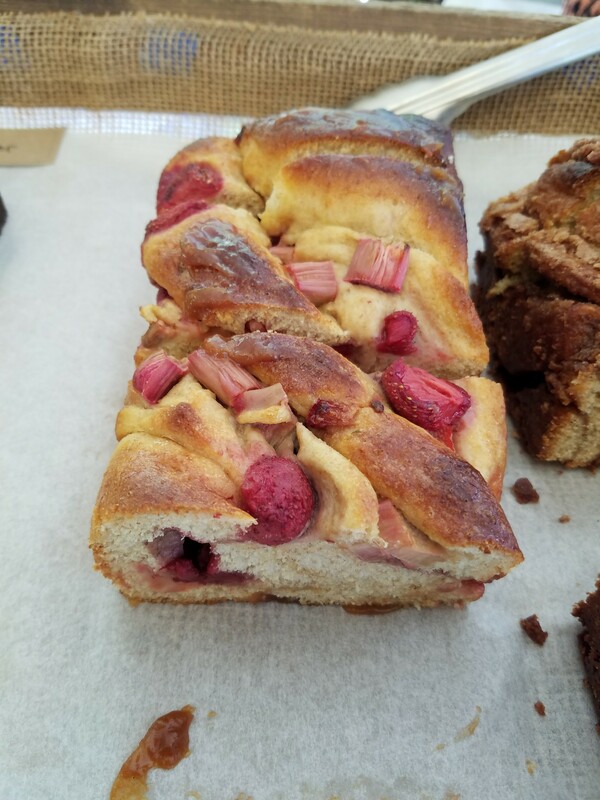 Check out this week’s seasonal babkas and scones at SMALL Baking Co, or take some time for a chocolate chip cookie or chocolate browine moment. Intent Coffee is doing pours over ice, so cool down and pick yourself up all in one cup. 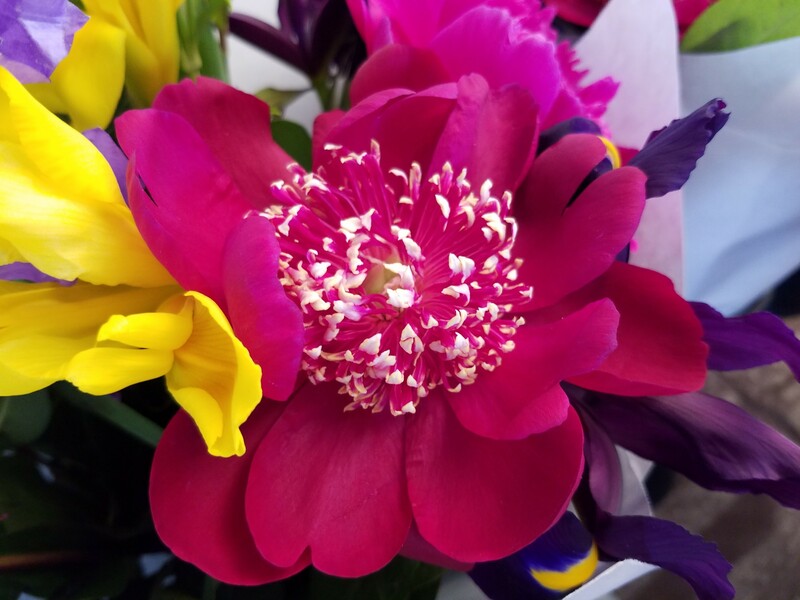 Peonies and irises are in season at Mom’s Flowers and broccoli, bok choy and spring roots are in at Flying Coyote Farm. 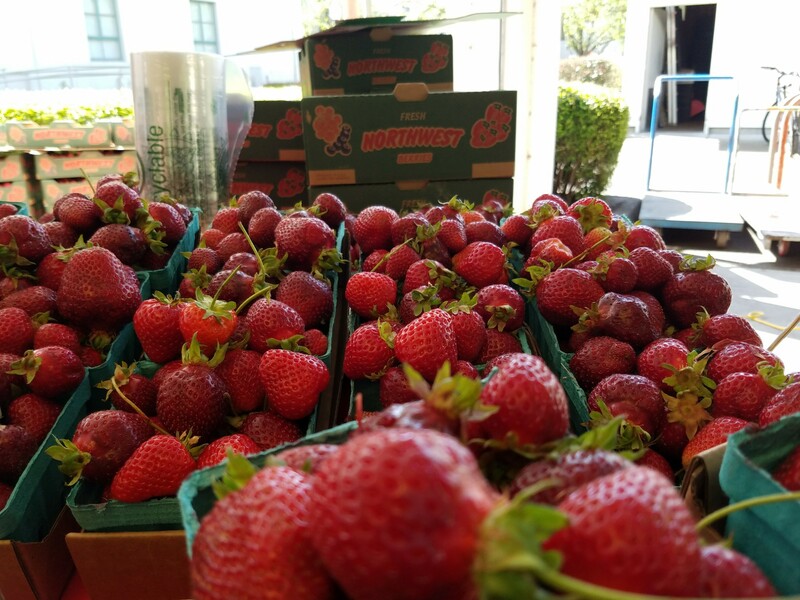 ← Strawberries, cookies and more today at the Lloyd Farmers Market!